Uglyworld #1316 - Incantiminations & Expectamanations (Project BIG - Image 303-365), a photo by www.bazpics.com on Flickr. 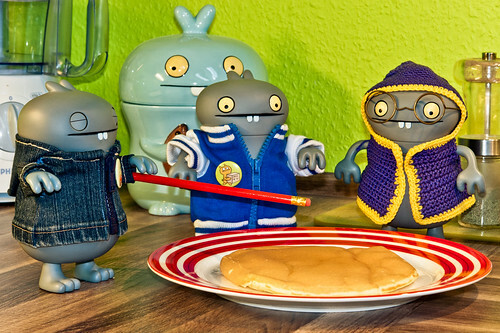 Bought straight out of a local supermarket just isn't Babo's way of doing things, so after taking some lessons from Babo Potter he managed to magic some into existence, with the other Babo's helping out with the chanting (I really don't know if that is part of the spell or just for fun). Fizz, bang, pop...and holys cow!"